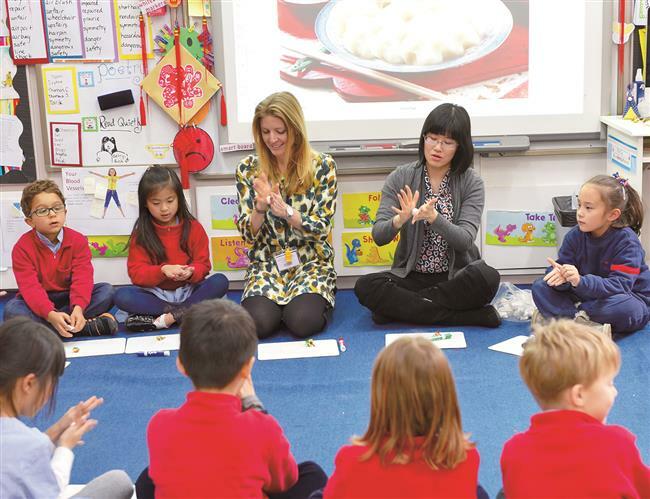 At Yew Chung International School of Shanghai, all students study Mandarin every day starting from the age of two, using language as a tool, in tandem with proprietary curriculum. Primary students learn Mandarin under the YCIS unique model. The topic of bilingualism has captivated researchers in recent decades as the world has become rapidly globalized. Recent studies conducted around the world have found that bilingualism has an impact on the formation of the brain, enhancing several critical cognitive abilities. Honorary lecturer at the University of Strathclyde’s School of Psychological Sciences and Health, Dr Fraser Lauchlan was the lead author of a 2012 paper which states, “Our study has found that bilingualism can have demonstrable benefits, not only in language but in arithmetic, problem-solving, and enabling children to think creatively.” At one school in Shanghai, Yew Chung International School of Shanghai (YCIS), all students study Mandarin every day starting from the age of two, using language as a tool, in tandem with a modern proprietary curriculum, to bolster these key cognitive benefits. Co-teaching plays an integral role in Shaping Lessons that promote an enduring understanding of concepts. A student’s ability to think critically is the foundation upon which they can identify problems. According to Sissy Shen, primary head of the Chinese Department and Professional Development coordinator at YCIS’s Regency Park campus states, “We shape lessons for our students to achieve an enduring understanding of concepts rather than just topical teaching. An example would be the concept of homonyms. Since Mandarin is a tonal language, many words have similar phonetic sounds but we create bridges for the children to show this idea existing in other languages as well, such as ma (mother) and ma (horse) in Chinese, or ‘know’ and ‘no’ in English. The dual English and Mandarin approach to learning this helps our students develop their critical thinking skills by understanding language concepts in phonetics, sentence formulation, and grammar.” Establishing a conceptual framework through studying Mandarin helps students learn to comprehend “big ideas” and categorize information, which is essential in critical thinking. YCIS students develop strong creative problem solving skills bolstered by the unique YCIS bilingual approach to learning. With the world changing at a dizzying pace, children today need to be ready to take on the future by being able to make high-level connections and solve problems in creative ways. Parents who provide their child with the opportunity to study in a program that not only teaches both languages, but that also ties their language learning to activities that further develop these core cognitive abilities are giving them a once-in-a-lifetime advantage for their educational journeys, future careers, and beyond.